Acacia stricta (Andrews) Willd. 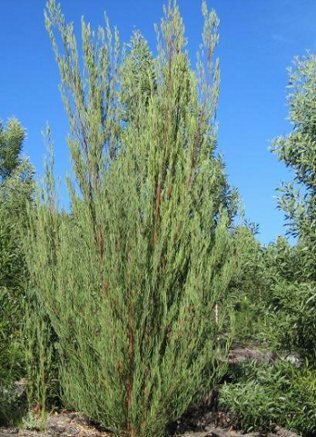 is an erect shrub or small tree, 1,8 m high. Branches angled or flattened. Leaves narrow, elliptic, up to 12 cm long, prominent midvein and net-venation. Flowers yellow balls held close to the stems, occurring in groups of 2-4 in the axils of the leaves, appearing in spring. Pods straight up to 100 mm long and 5 mm wide. Seeds coat hard, the seed stalk expanded at one end but does not encircle the seed. Hop wattle might be mistaken for rooikrans (Acacia cyclops) or long-leaved wattle (Acacia longifolia). The differences between these species are tabulated below. 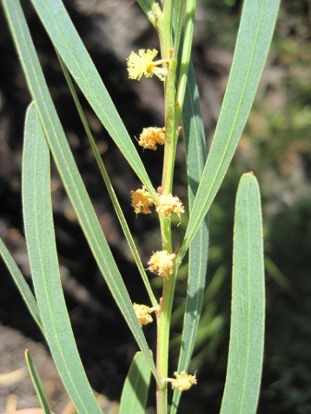 Hop wattle is native to Australia (Victoria, New South Wales, Tasmania). Seeds with sporadic strong winds and also appears to be easily dispersed via human activities and soil movement (most likely road construction). However, the majority of the seeds accumulate under the tree canopy. Hop wattle was probably introduced to South Africa as an ornamental plant and for soil stabilisation and has recently been recorded in the Knysna area (Western Cape), mostly on plantation land owned by MTO forestry. 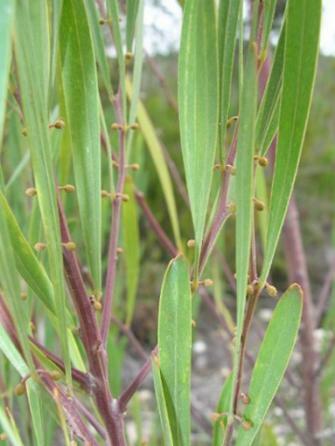 Hop wattle is a fast growing and drought tolerant species, which can withstand both low and high temperatures. It forms persistent seed banks, and seedlings may continue to emerge for many years after the plant has been removed. The species is also considered a high risk species in terms of invasiveness. It invades roadsides, watercourses and gaps in plantations. Hop wattle is currently controlled by uprooting or cut-stump treatment using a glyphosate herbicide. There is no herbicide or biological control agent registered for this species in South Africa. Report sightings of these plants to the Invasive Species Programme at SANBI. We will need to know its locality (the exact locality, supply a photograph, any landmarks or GPS information if possible). South African plants invaders atlas database. ARC- Plant protection research institute, Pretoria, South Africa. Pheloung P. C., P. A. Williams and S. R. Halloy. 1999. A weed risk assessment model for use as a biosecurity tool evaluating plant introductions. Journal of Environmental Management 57: 239-251.